Credit insurance is an add-on you can get while receiving a loan that protects you should certain life events happen. Though it’s marketed as helping consumers, the history of credit insurance is a little spotty. In fact, the FTC had to come in recently and clarify when lending companies were breaking the law. What does credit insurance protect against? Credit Life Insurance: Should you die, all or part of your loan will be paid off. Credit Disability Insurance: Should you have an accident or become extremely ill, credit disability insurance makes payments on your account while you’re unable to work. Involuntary Unemployment Insurance: If you’re laid off from your job, this type of insurance makes payments on your account should you lose your job through no fault of your own. 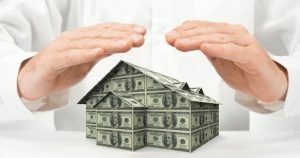 Credit Property Insurance: If you secured your loan with personal property, credit property insurance protects that property should it be stolen, vandalized, or destroyed. Is credit insurance worth it? It depends on your situation and what threats are likely looming around the corner. We’re not talking about what’s possible to happen to you, but instead what is likely to happen to you. If you work a job with a high turnover rate, then credit insurance might be a smart move on your part. If you secured your loan with a car you drive on the interstate every day, again, it might be prudent to insure your loan. That said, it’s always in your benefit to shop around for cheaper alternatives, or to rethink the equation altogether. For example, if your health is unstable, it may be much wiser to simply get life insurance. The money received should you pass could be used by your loved ones and family for other things, not just paying off your loans. Be responsible: Ask questions before you sign up. Is the insurance incorporated into the loan? If yes, know that your loan amount will be higher and you’ll pay more interest/money in the long run. Is it possible to pay the insurance on a monthly basis instead of financing the premium? Ask specifically what is covered and what is not. How long do you have to wait before the insurance kicks in? How does it work if you have a co-borrower? Is it possible to cancel once you start? Is there a fee for cancelling? How are monthly payments different with and without it? Whether a credit insurance company has your best interests in mind from the get go is debatable. For many, credit insurance is the right move, but it’s equally unnecessary for many people, too. You have to take a look at your situation and decide what’s best for you.